River Lodge offers the best of both city and country living. 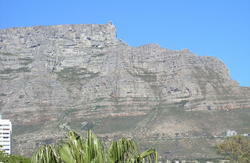 A fantastic backpackers ' self catering, clean & homely, high ceilings ' cozy in winter, cool in summer. In our large spacious kitchen you can indulge in your favorite pastimes, chilling at the bar, lazing by the fireplace, prepare your favorite meal while watching DSTV, or enjoy our spacious braai facilities. You can relax on the enormous veranda or climb into a quiet hammock on one of our lawns. 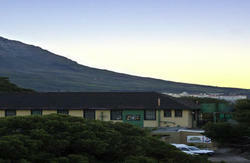 We boast of having one of the largest in city camp sites in Cape Town, catering for vehicle and tents, safe and secure. The Backpackers dorms are perfect for Volunteer Accommodation (60 pax), sporting groups, school groups, group stays, business and self drives -- we are regularly used by Volunteering Organizations such as Habitat For Humanity. We offer a range of accommodation: 2 bed, 4 bed, doubles and family rooms. Our talented, resourceful, friendly staff will ensure that both your nights and days are filled with fun activities. Get them to answer your questions and point you in the right direction. Fancy jumping from a plane? Need a reason to get to this happening, alternative village+ Try these for starters! It's Organic with bee-keeping courses, horse riding, organic gardens, farm stall and a wetland bird sanctuary. It's 'To-Do' list includes some unusual tidbits such as workshops (think belly dancing and art studios), volunteering options and a petting zoo. Take the N2 towards Cape Town take exit 10 Raapenberg Road (Pinelands). From Raapenberg Road turn left into Alexandra Road. Take the N2 towards Airport; follow the signs to the Airport on Settlers Way. Take Exit 10 Raapenberg Road (Pinelands). From Raapenberg Road turn left into Alexandra Road. Take the N1 towards Cape Town; take Exit 7 Koeberg Interchange to get onto the M5 to Muizenberg. From the M5 take the Pinelands off-ramp to Raapenberg Road, turn left into Alexandra Road.